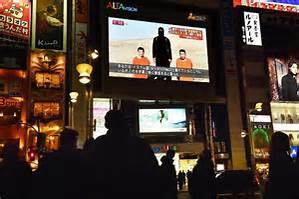 Having taken careful note of the linkages between the Middle East refugee crisis and Islamic terrorism, the Japanese have adopted a policy to severely limit the number of refugees it admits to their country. The seventh issue of the Islamic State’s Dabiq magazine is entitled From Hypocrisy to Apostasy. It begins with a declaration of war against Japan. Dabiq then boasts about the murder of the Jordanian pilot by immolation, before going on to give advice for would be leaders within the Islamic State. It reiterates their commitments to war, arguing that “Islam is the religion of the sword.” It then proceeds to tout its successes in Egypt and Libya. It reiterates its division of the world into two camps and includes interviews with jihadists and hostage John Cantle. In 2015 Japan accepted only 27 refugees, including just three Syrians, from among thousands of applicants. Each of those 27 underwent a rigorous vetting process meant to ensure that they would not cause problems to their hosts. Although Japan has been criticized for its refugee policy, it is in fact nothing new: in their concern for maintaining the homogeneity of their population and for preserving the unique character of Japanese culture and society, the Japanese have traditionally been wary of accepting large numbers of immigrants to their shores. And the policy of accepting very few Middle Eastern refugees appears to be working, as there have to date been no terrorist incidents in Japan committed by people of Middle East origin.